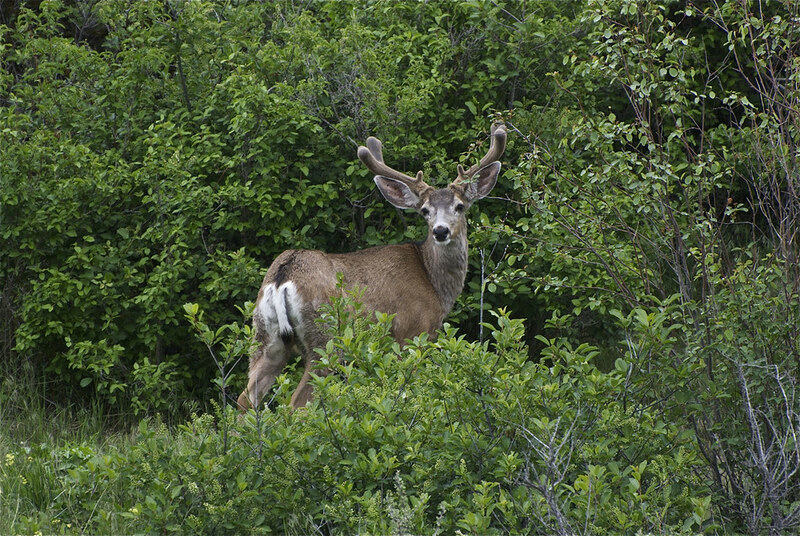 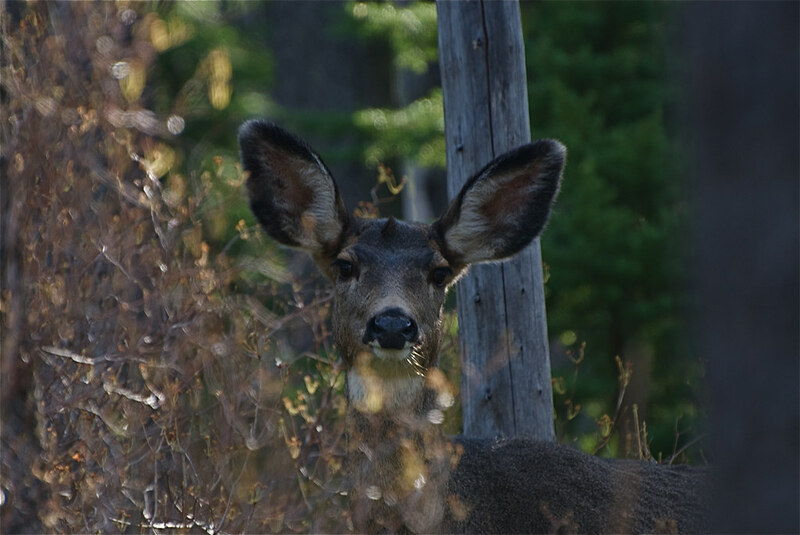 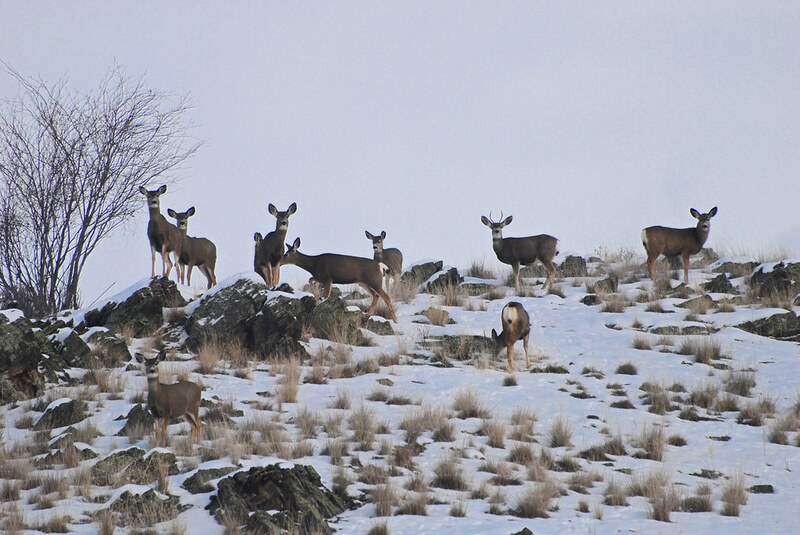 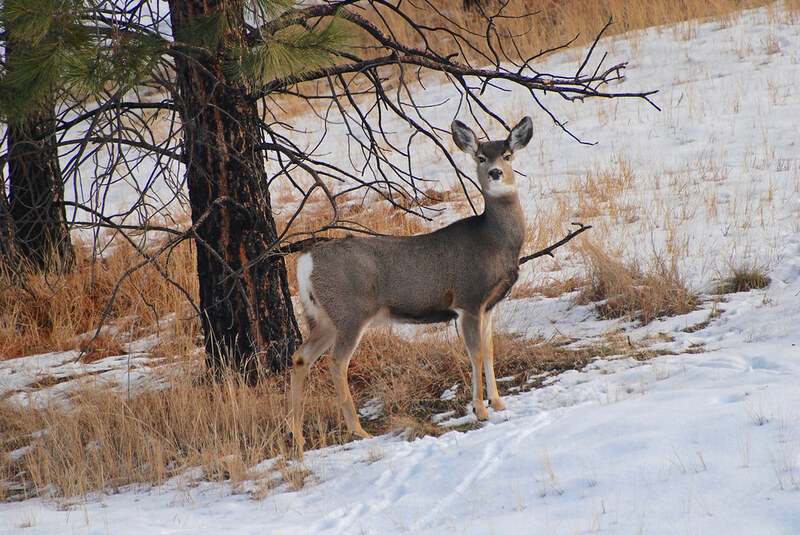 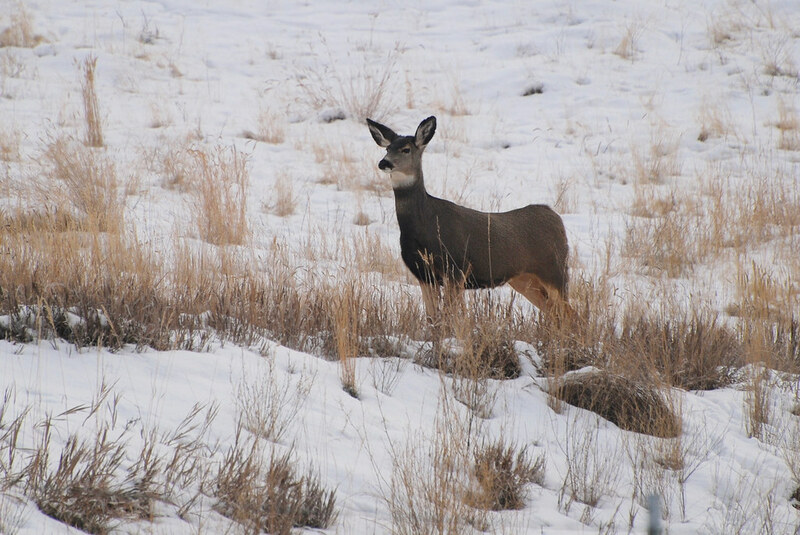 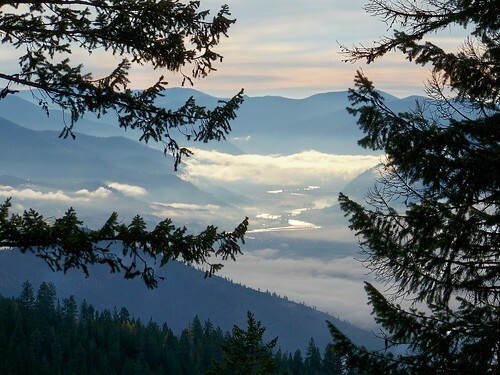 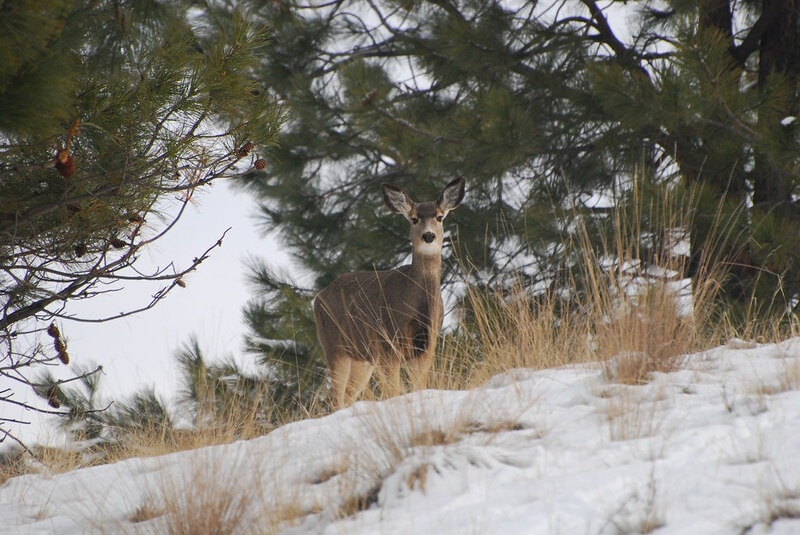 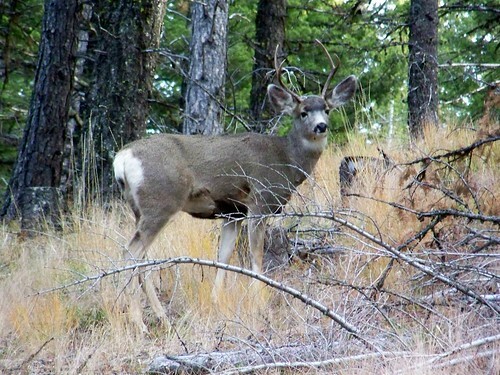 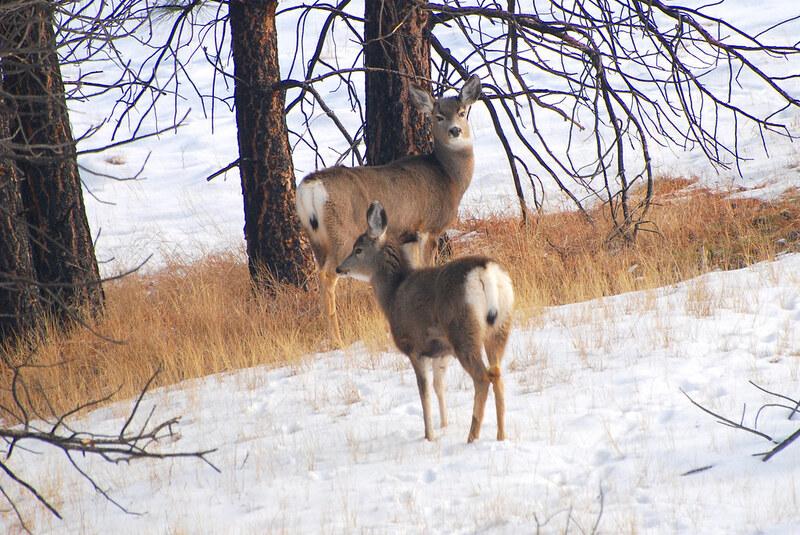 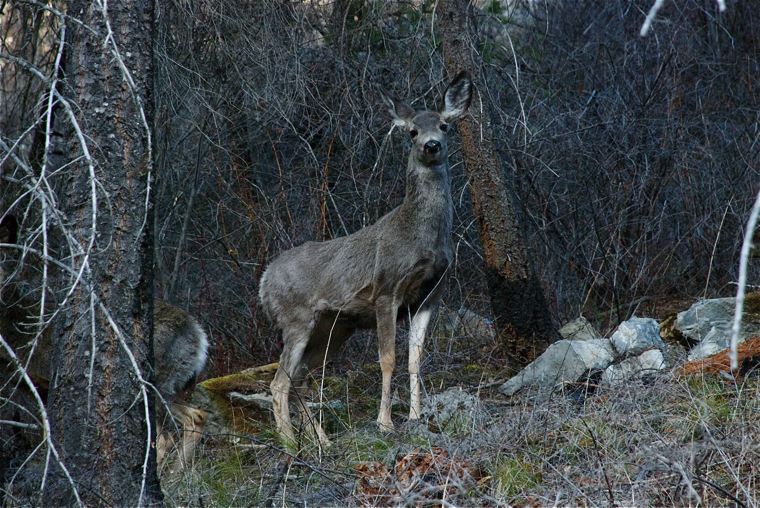 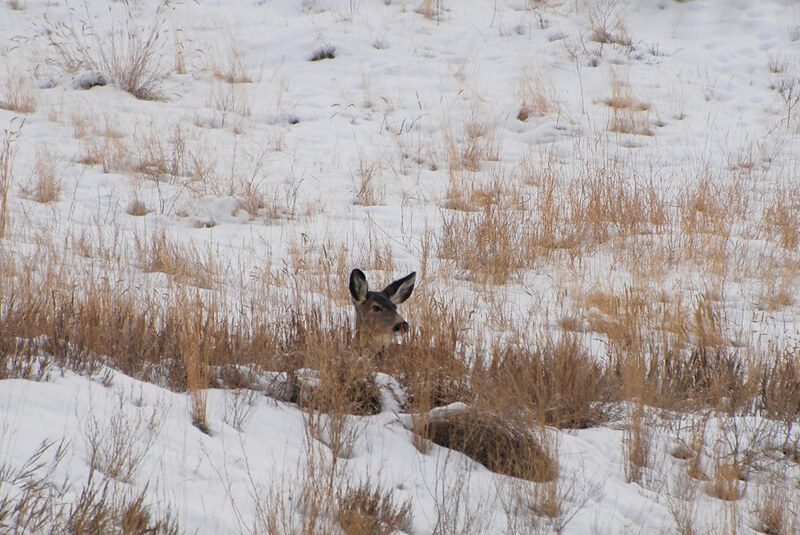 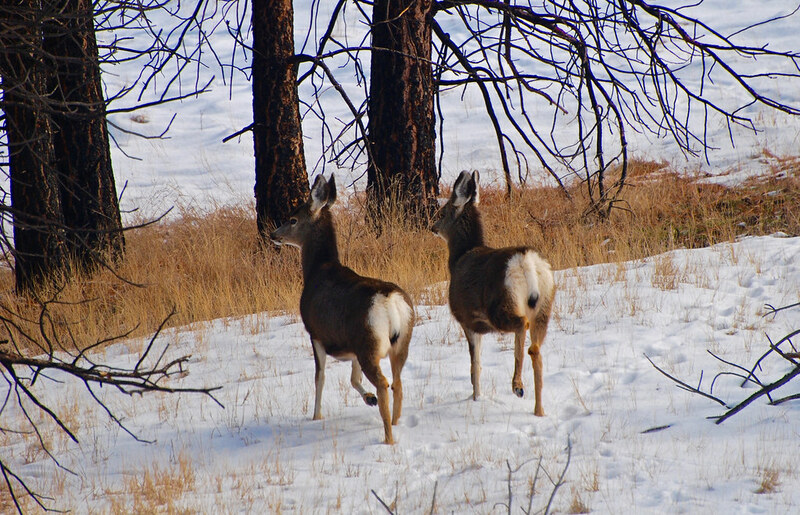 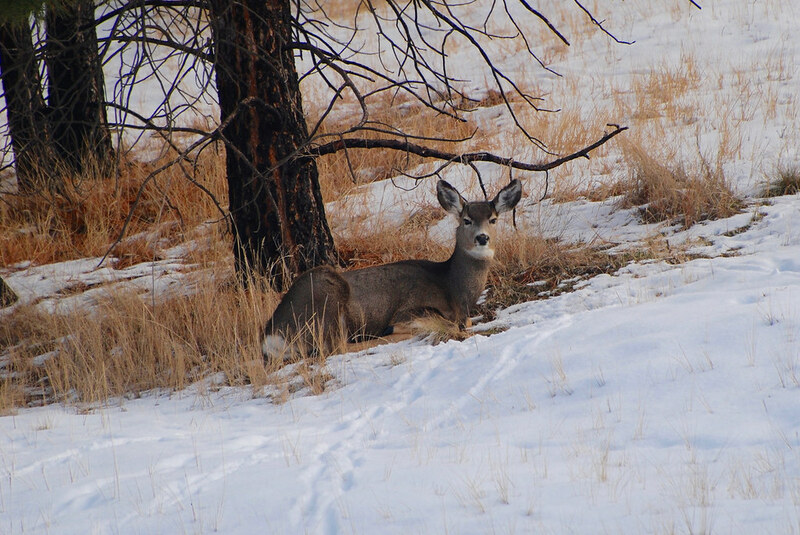 Behind the local Ranger Station there is a half-section of land that rises for a mile up a fairly open south-facing slope that is used as a summer pasture for the Forest Service pack horses and mules and also as a protected winter range for a sizable herd of mule deer. 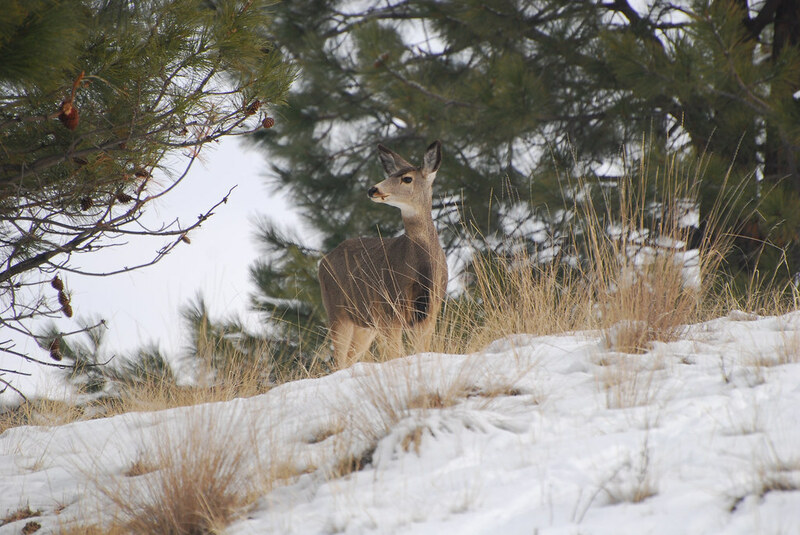 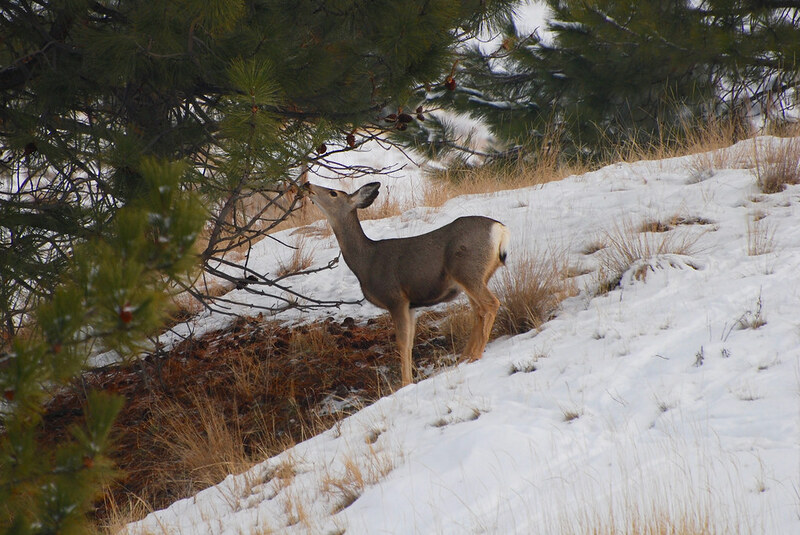 Yesterday A friend called to tell me that she had recently hiked through the area and found that the deer spending the winter there were fairly mellow and could be approached to within camera range, and so today we went back to get a few photos. 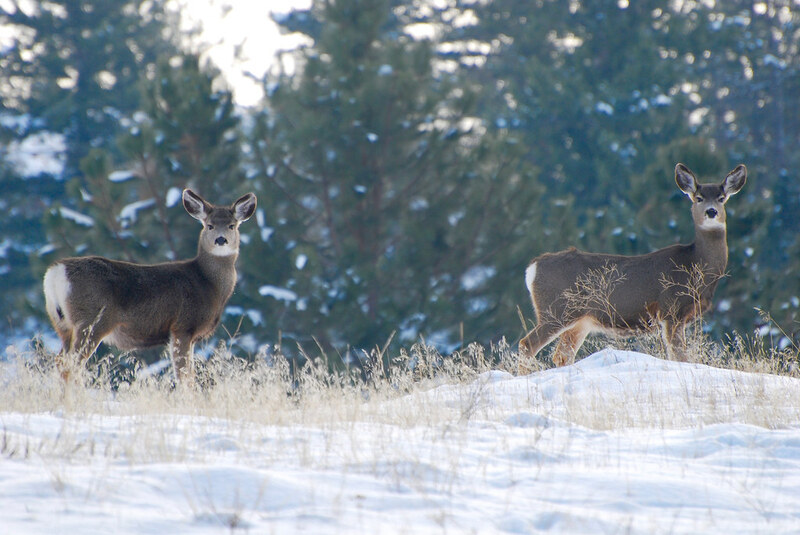 Here are some that I brought back, all taken with a 70-300mm lens. 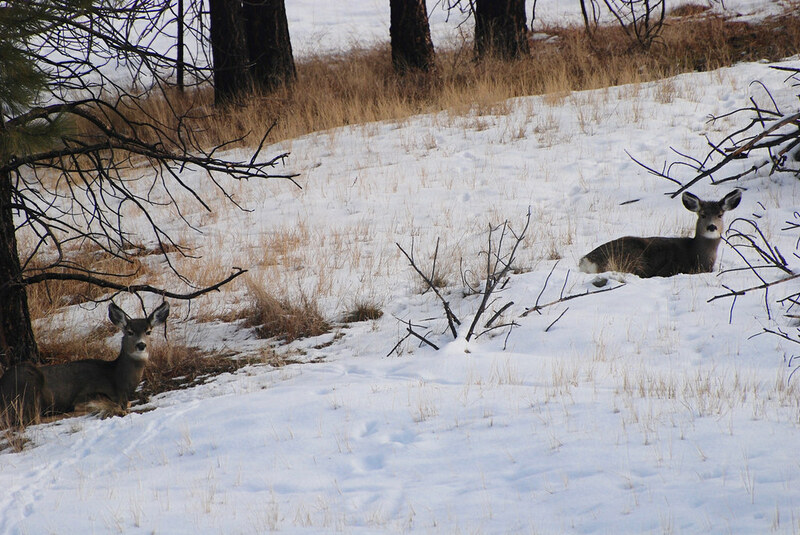 Although it’s hunting season here in western Montana, these three are perfectly safe inside the National Bison Range. 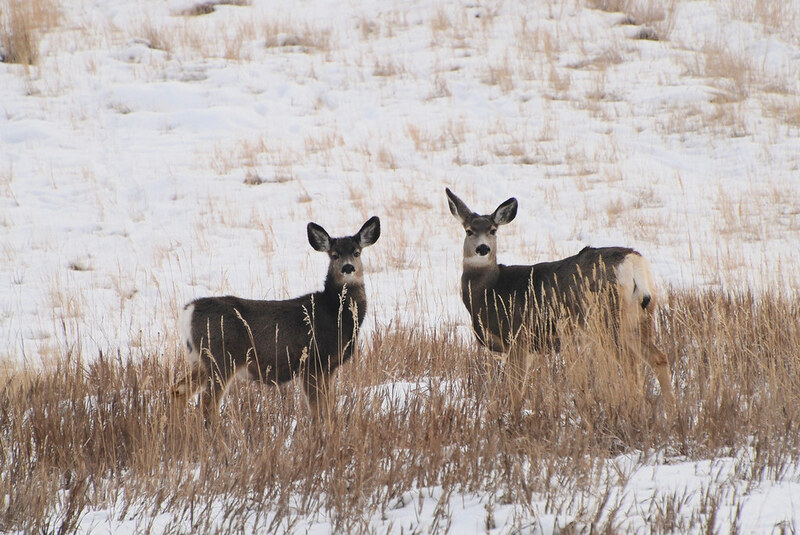 They are named that because of the size of their ears. 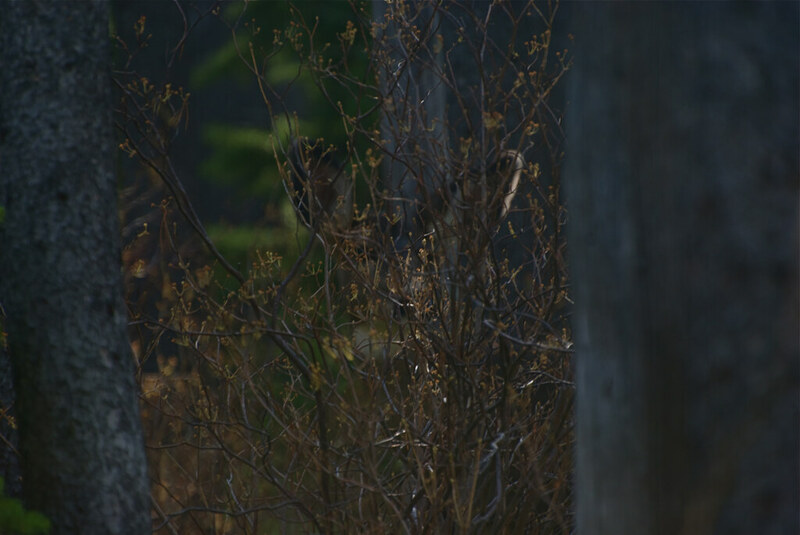 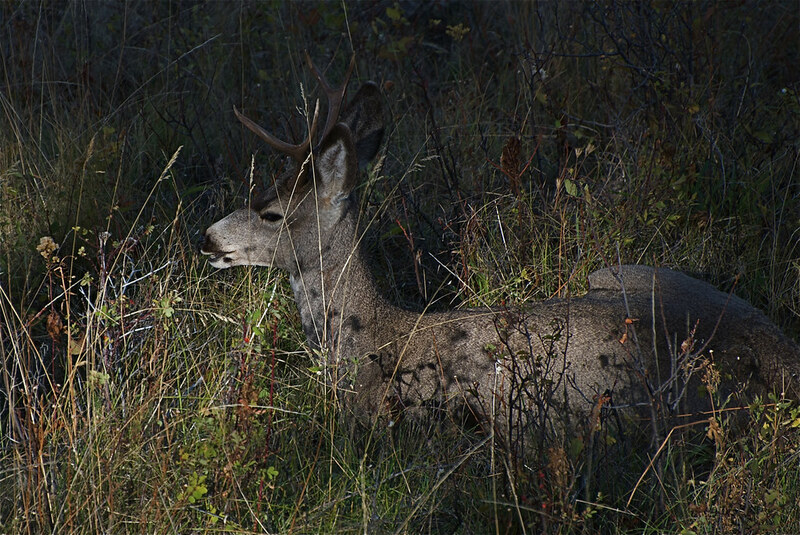 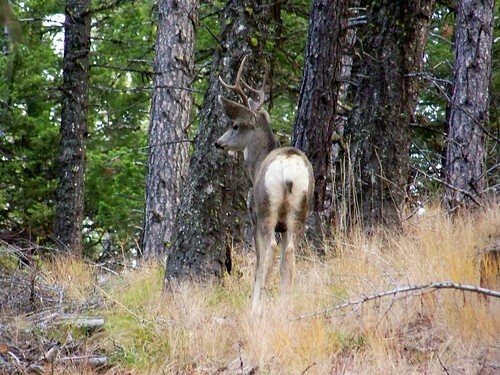 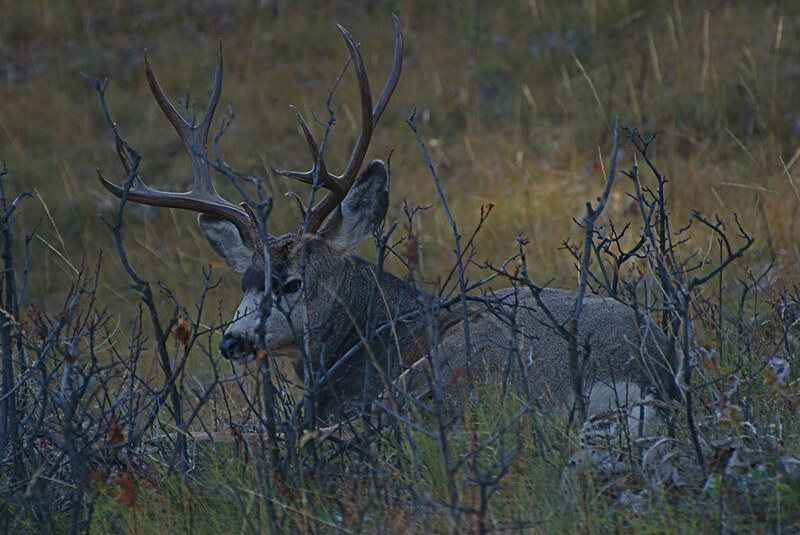 After thoroughly examining him through my rifle scope, I chose to shoot this Mulie with the camera instead. 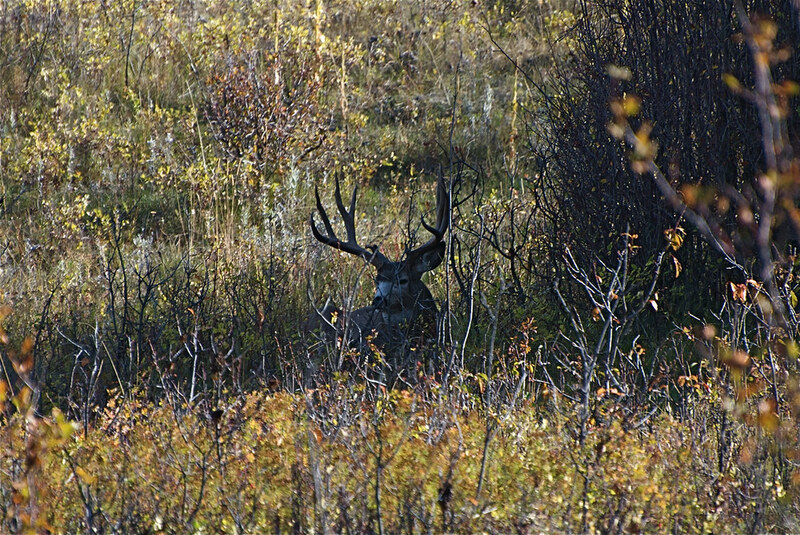 I may regret that later, but for now I’ll keep looking for one with more hardware, although he has exceptionally large antlers for a 2X2!